Setting new standards among zoom lenses for mirrorless cameras, the M.Zuiko Digital ED 12-200mm F3.5-6.3 is a 16.6x high-magnification zoom lens that offers a superb optical design with excellent depictive performance across the entire focal length from wide angle to telephoto. Packing a high-speed and high-precision autofocus (AF) into an amazingly compact and lightweight form with a dust-, splash- and freezeproof design, this versatile lens is ideal for landscape, street and portraits. 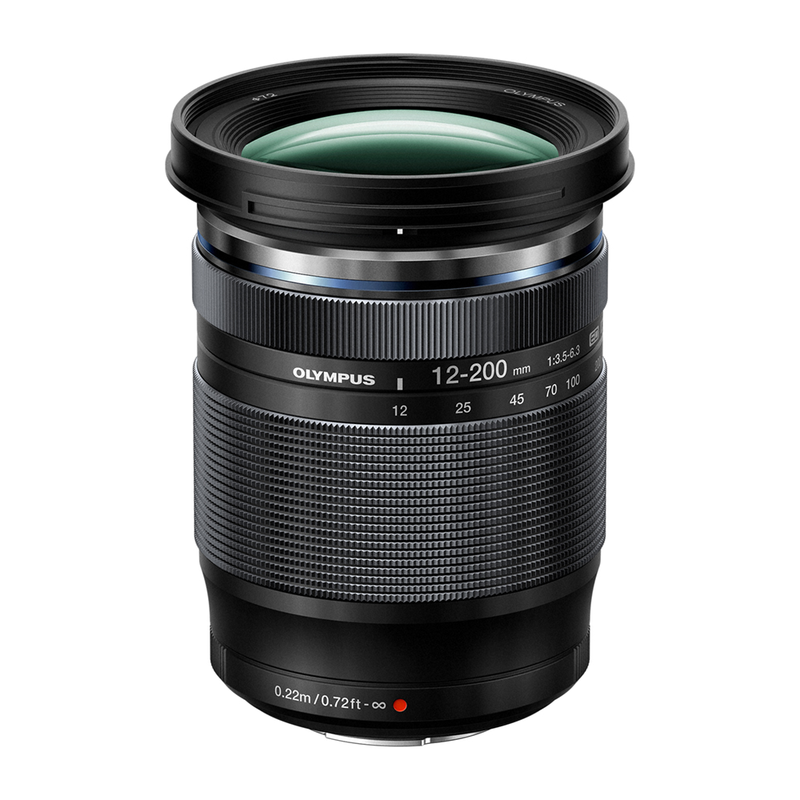 To thoroughly suppress chromatic aberrations and distortions across the entire zoom range while maintaining a compact lens design, Olympus engineers have given special attention to the arrangement of special optics including Super ED and aspherical lenses. ZERO (Zuiko Extra-low Reflection Optical) coating drastically reduces ghosts and flares. Furthermore, the ED 12-200mm F3.5-6.3 is equipped with the MSC (Movie and Still Compatible) focus mechanism that uses an inner focus system which moves a single lightweight lens for focusing. This allows for high-speed AF performance in order not to miss split-second photo opportunities.